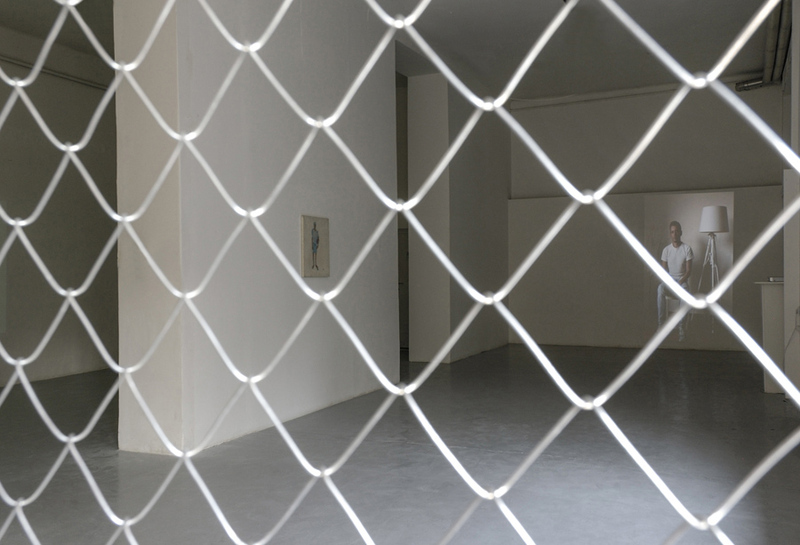 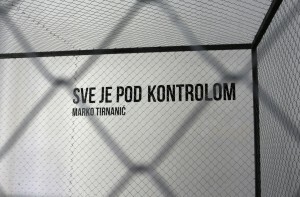 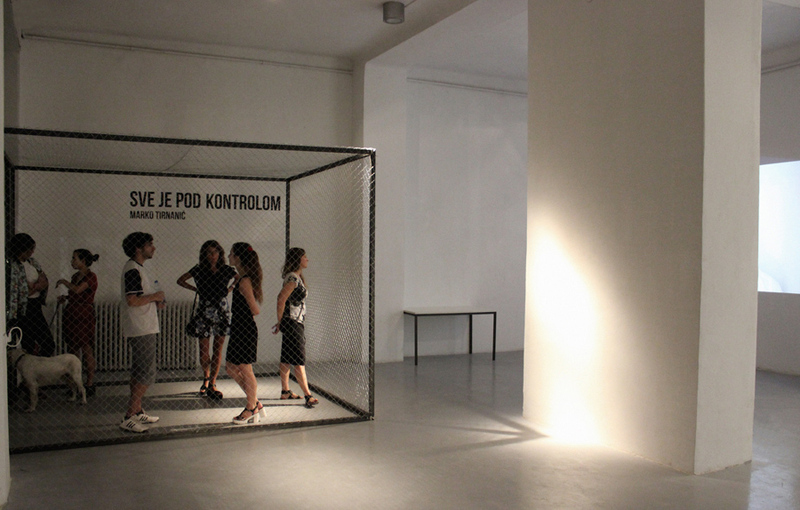 The exhibition of Marko Tirnanić “Everything is Under Control” represents the artist’s research in the complex area of the individual, as well as a study of relations between dominant and passive subjects of the social processes and members of the community. 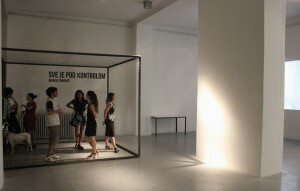 The spatial installation, which represents one aspect of the work has a role to create a common, joint, and equal discourse and a place for all ‘consumers’ of the work. The author achieves this by putting the audience in the same, equal position. 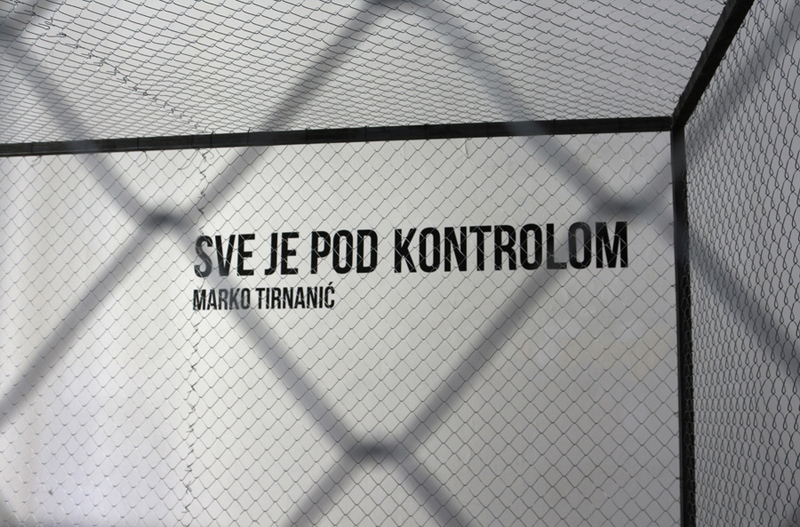 With his work, Marko confronts the system, not only its negative segments, but also those, which we would qualify as good. 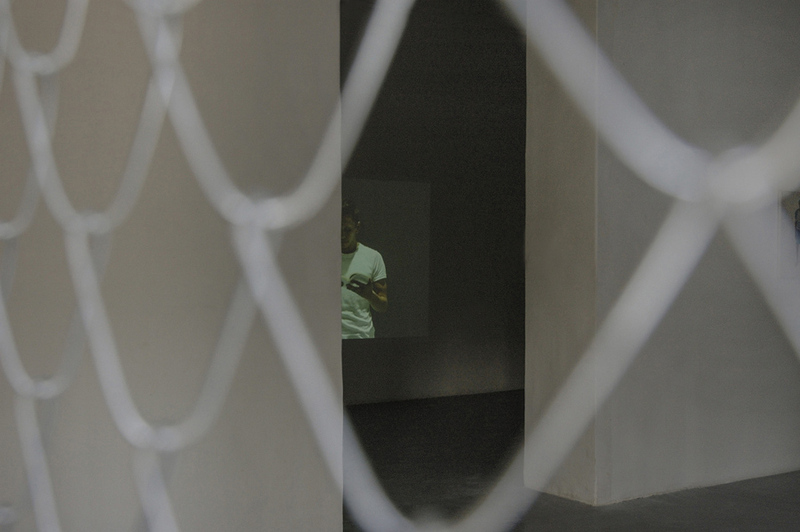 In front of us, he places an opposition to the dominant ideology and participation in it, through passive attitudes and efforts. 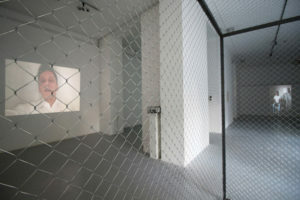 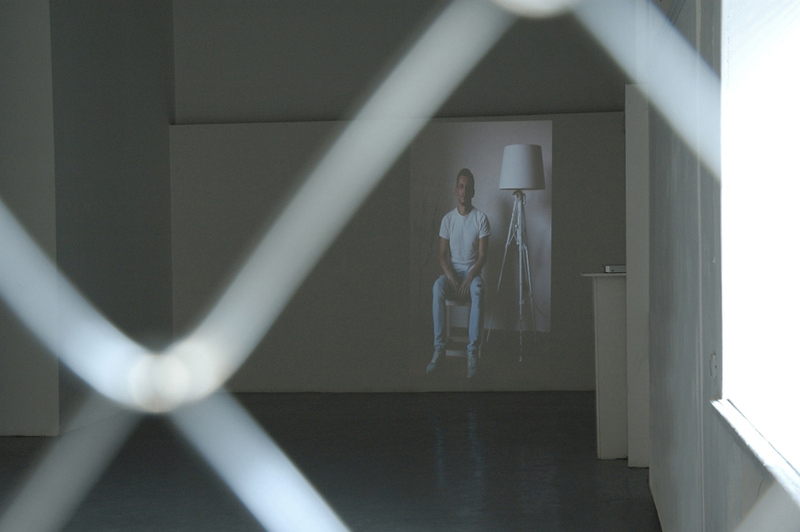 Therefore, the installation, as well as the video works deal with the audience and artist through a direct experience. 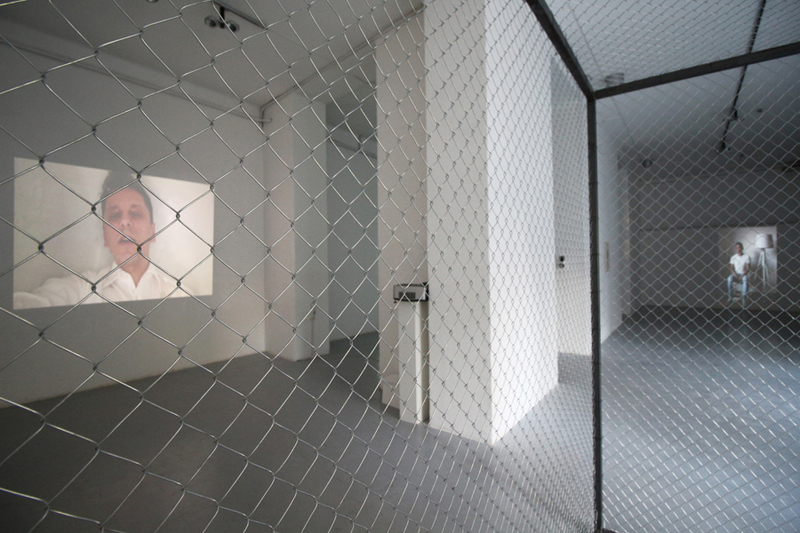 The work is points out to the necessity to make choices in the field of imposed norms and given limitations. 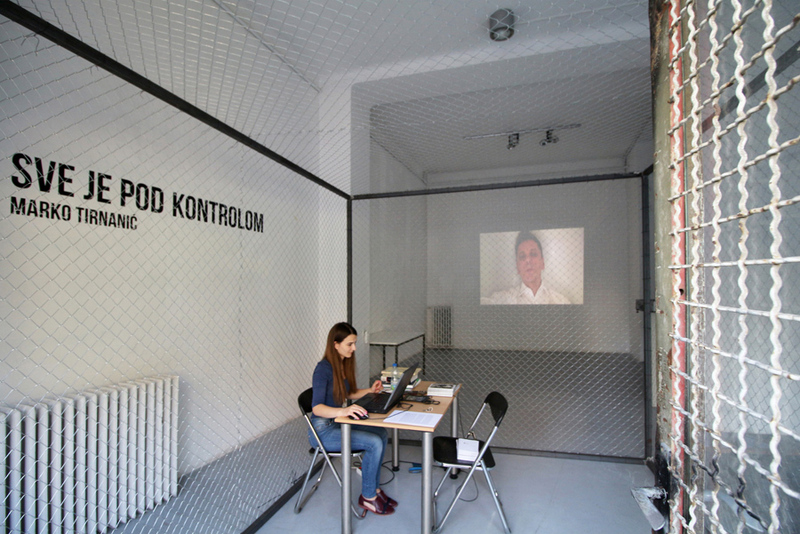 Control, humiliation, self-humiliation, and the dominant-passive juxtaposition are only some of the socially intimate positions of an individual that could be read in the exhibition “Everything is Under Control”.